The project consists of an approximately 4 acre site with development including new streets, parking areas and a single story 22,800 sq. ft. structure. 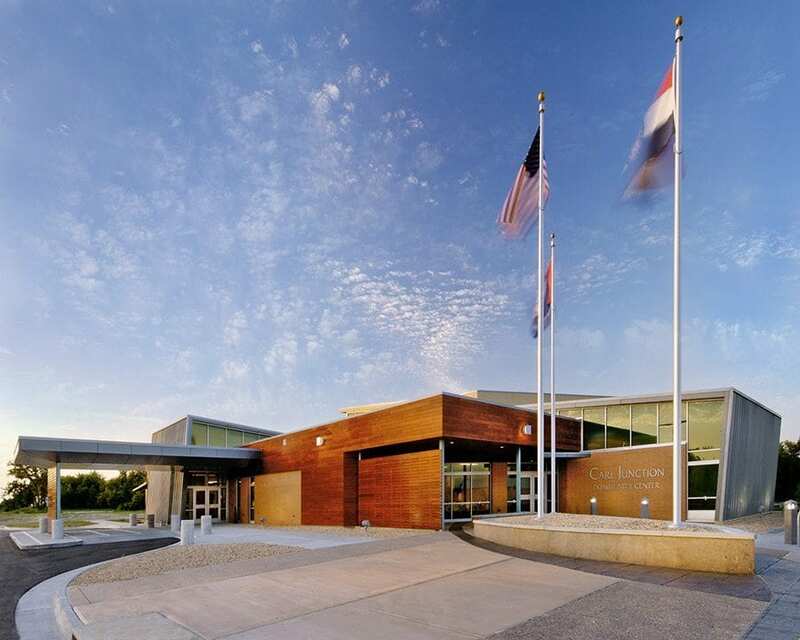 The building contains the Senior Center, Recreation Center and City Hall which includes a senior dining hall and kitchen, a gymnasium, community room, city council chambers and city offices. This project consists of a new police and municipal court facility approximately 23,860 square foot in area. The City Hall Expansion & Renovation project consists of a new one story 15,650 sq ft addition to the existing City Hall facility as well as selective interior renovation of the existing City Hall. The Police Station Expansion & Renovation portion of the work consists of two new one story additions totaling 6,220 sq ft to the existing police station facility as well as selective interior renovations of the existing police station. The project is for a new 12,500 sq ft City Hall & Police Station facility for the City of Clinton. The Fire Station is approximately 5500 SF and was designed to withstand an F2 tornado. The structural system was 12” thick ICF walls with 32” deep pre-stressed double-tee roof joists. The Storm Shelter is approximately 750 SF and was designed to withstand an F3 tornado plus the collapse of the fire station next to the shelter. The structural system was the same as the fire station.